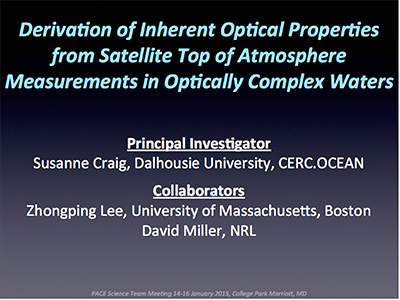 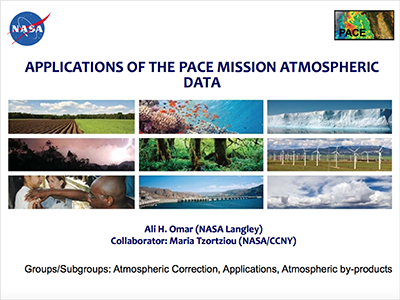 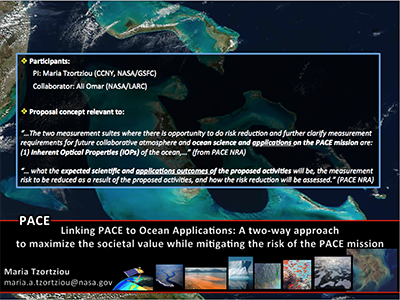 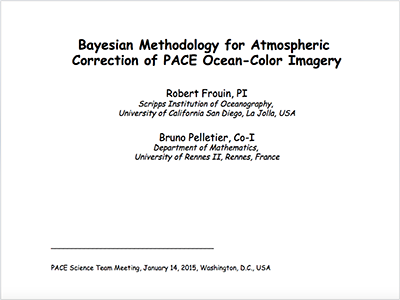 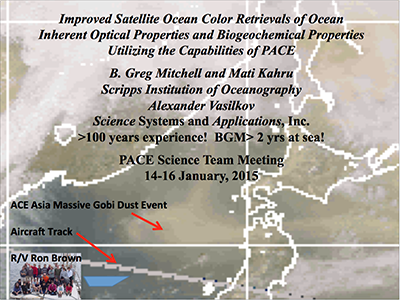 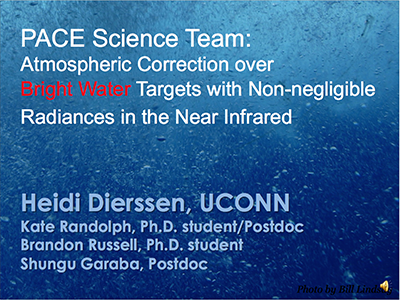 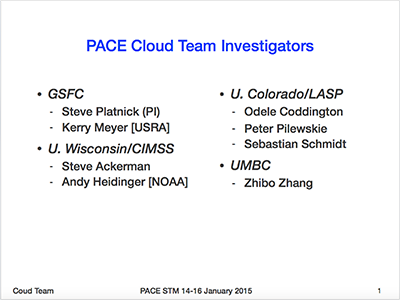 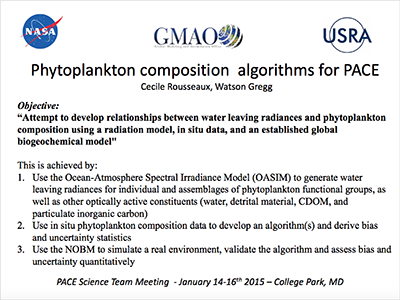 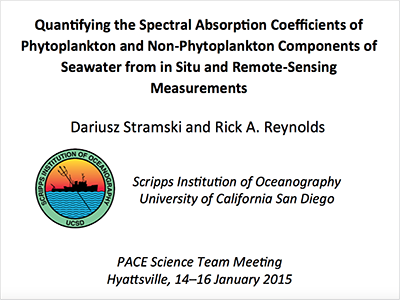 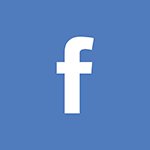 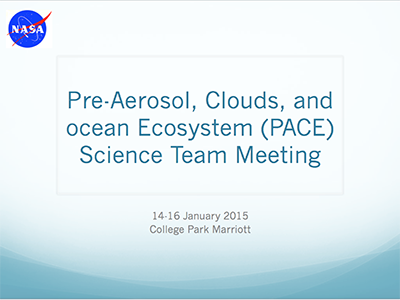 The first face-to-face meeting of the PACE Science Team (ST) was held during mid-January 2015 in College Park, MD. 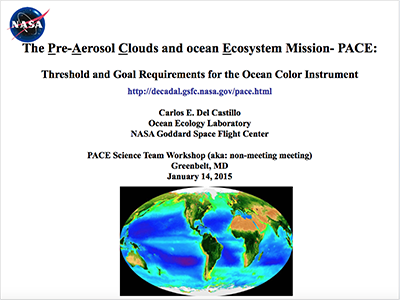 The opening discussion covered approaches for defining the project elements (i.e., science, data processing and analysis, post-launch calibration/validation; procurement of spacecraft and polarimeter) within the mission cost cap. 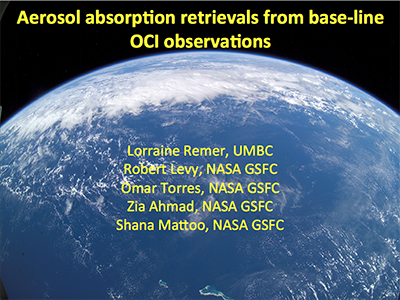 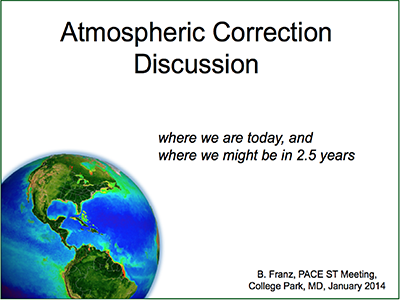 After reviewing recommendations of the PACE Science Definition Team, ST presentations fell under the general themes of atmospheric correction, inherent optical properties, and applied sciences. 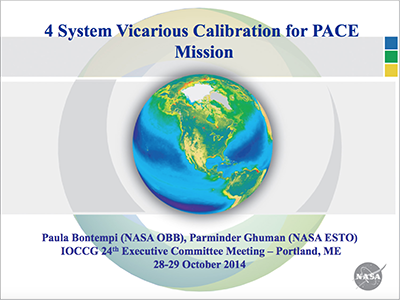 The meeting concluded by setting ST goals and a work plan for the subsequent year. 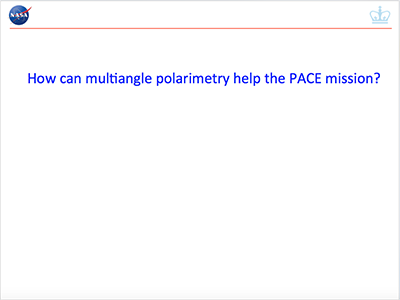 How Can Multiangle Polarimetry Help the PACE Mission? 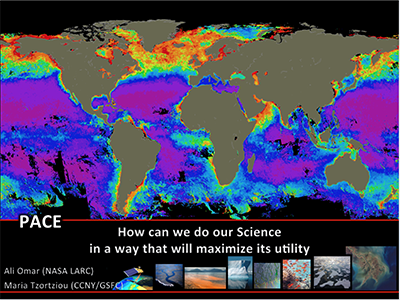 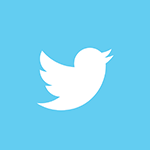 How Can We Do Our Science in a Way that Will Maximize its Utility? 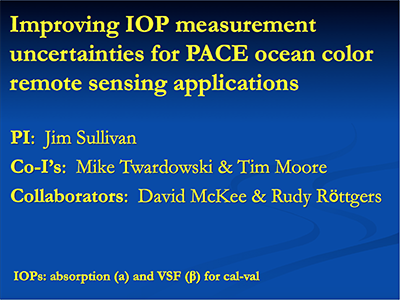 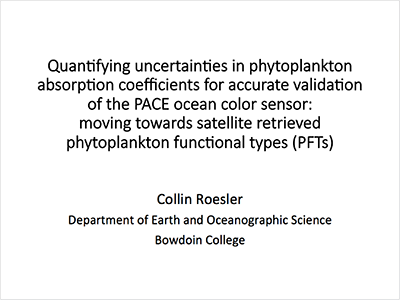 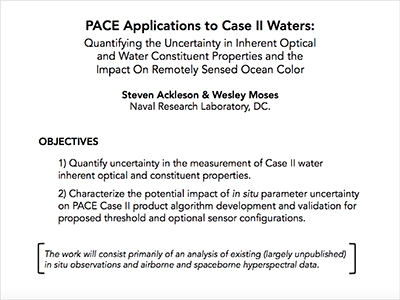 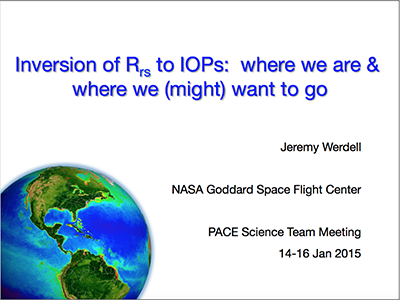 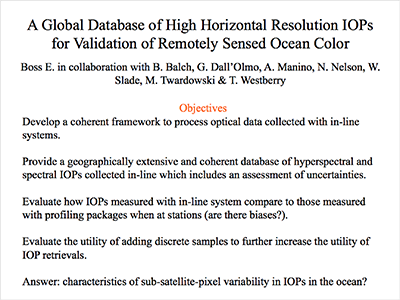 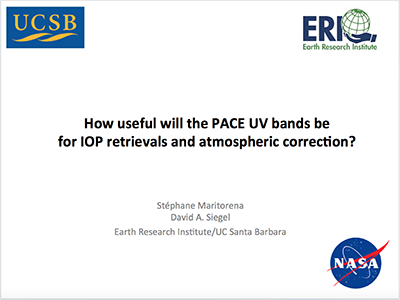 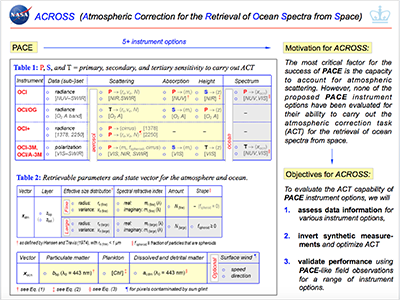 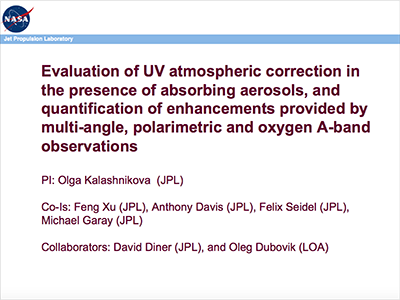 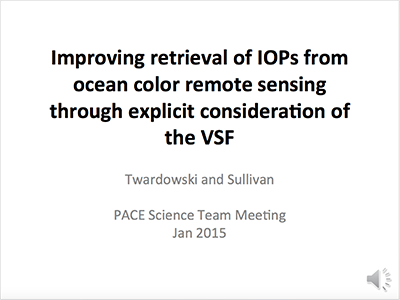 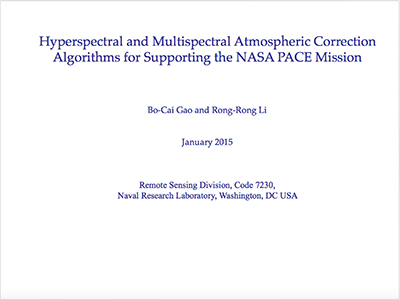 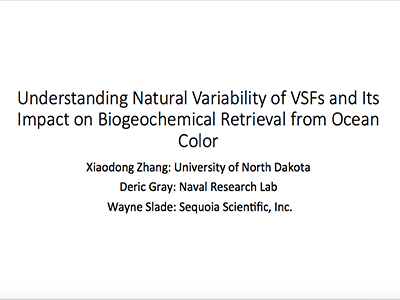 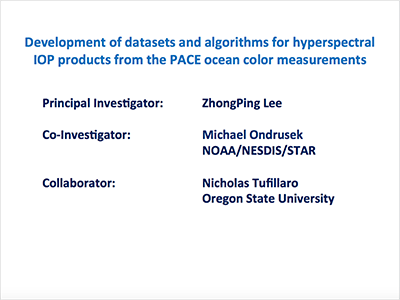 How Useful Will the PACE UV Bands Be for the IOP Retrievals and Atmospheric Correction?